Before WWII, there was a light railroad on Okinawa. It was a narrow gauge rail and called Keibin Tetsudou (light railroad). 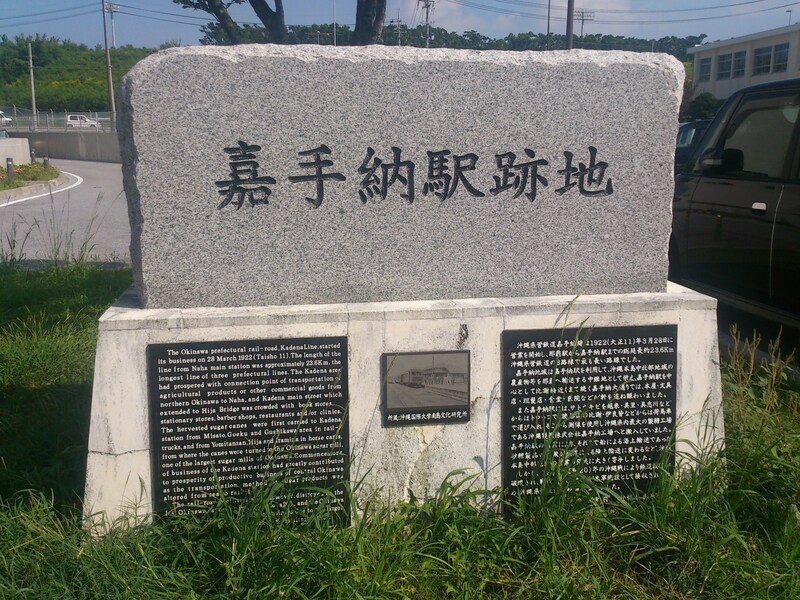 The first line, connecting Naha and Yonabaru, was completed in 1914, because at that time, Yonabaru Town was the most important maritime port on Okinawa. The second line was between Naha and Kadena, followd by the Naha – Itoman line. Kadena station was the northernmost end of the railroad, reflecting the importance of the flourishing Kadena area at the time. 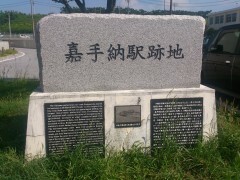 There is a monument to the Kadena Station that was located at the current Kadena rotary area.